Do not miss to conquer the last regions on Christmas Island for your festive rewards! Did you manage to beat all 30 bosses on Christmas Island to collect over 40 festive rewards? If not, then it is time to hurry as the campaign will close on Christmas Day. A new region aka a door on the Christmas calendar will open up every day, with a new Boss to slay and special rewards to collect for the holiday. All are bonus spins or rubies rewards that are instantly added to the personal Treasure Chest, ready to be unwrapped at any time. Plus, there are extra surprise offers for bonus spins on deposit popping up all the time. Exclusive for players from the UK and Northern Ireland. Collect fantastic Christmas Gifts by beating up to 30 Christmas Bosses at Casino Heroes throughout the festive season! Christmas Island 2018 is now live and all players are invited to step in and explore the generous winter wonderland. The more Bosses are beaten, the better the gifts will be getting. Collect them in your Treasure Chest and unwrap them anytime you like. Every day, from 26th November to 25th December 2018, a new region will open on Christmas Island with a range of tasks and challenges. Complete the progress bar and fight the boss as each win you beat means that an extra special Christmas Gift will be placed in the Treasure Chest, ready for players to instantly unwrap. A minimum bet of GBP0.20 is required to advance on the progress bar. A withdrawal of game winnings within the promotional period will not remove any of collected rewards. These are varying amounts of Free Spins on a selection of slots or extra rubies for the loyalty store. 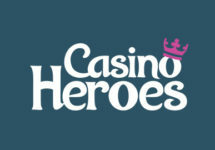 Wagering requirement is 40x FS winnings with a maximum €5 bet restriction and subject to the Casino Hero Bonus Terms and Conditions. Deposit €10 to instantly have 40 bonus spins on Star Joker added to your Treasure Chest after the deposit is completed. Offer can be claimed once per player only. Awarded spins will expire after five days. Wagering requirement is 40x FS winnings within five days, subject to the Casino Heroes bonus terms and conditions. Deposit €20 to instantly have 60 bonus spins on Wild-O-Tron 3000 added to your Treasure Chest after the deposit is completed. Offer can be claimed once per player only. Awarded spins will expire after five days. 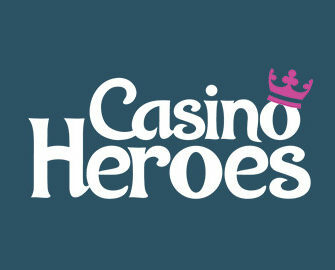 Wagering requirement is 40x FS winnings within five days, subject to the Casino Heroes bonus terms and conditions. All players, who have wagered at least one deposit in the last 60 days, will be rewarded with 50 Rubies, that can be used to buy Bonus Spins in the Ruby Store. The extra reward will be added to the Treasure Chest at 10:00 CET and will expire at midnight. Wagering requirement for the Bonus Spins purchased in the Ruby Store is 40x FS winnings within five days, subject to the Casino Heroes bonus terms and conditions. Get twice as fast to the Bosses and earn more Rubies during Happy Hours. Advance with double speed on your current adventure when playing your favorite games all day on Monday. Minimum bet of €0.20 is required to progress. Play actively on Gold Fish Tank with minimum €0.20 cash bets and you could trigger a random Treasure Chest on any spin. The total prize pool is €1,000 in cash. An in-game tournament tab displays all relevant information including remaining prizes and time. All prizes are instantly credited without wagering requirements.